Abstract: Despite the strides made recently for women in business, female tech professionals continue to be outpaced by their male counterparts. According to Silicon Valley Bank’s Innovation Economy Outlook survey, less than 50 percent of technology companies have women in the C-suite or serving on the board of directors. Only 19 percent of CIO positions for Fortune 250 companies are held by women. In fact, the gender disparity among technology professionals seems to be increasing in spite of recent gains throughout the workplace. Fewer women are joining the tech workforce and the numbers of female students studying technology is in decline—today only 18 percent of computer science majors are women, compared to 37 percent in the mid-1980s. Add in a continued wage imbalance and a high turnover rate for female tech professionals mid-career and it is clear that there is work to be done. How can we encourage more women to join the technology field and insurance technology in particular? What can be done to break down the barriers to success as a female technology professional? I graduated in 2010 from University of Illinois at Chicago’s Liberal Arts College with a Bachelor of Arts in English Literature Studies and Pre-Renaissance History. Shortly after graduating from UIC, I began working for Northwestern University’s Kellogg School of Management, Executive Education Programs as a Program Management Assistant. I was promoted shortly after starting to a Technology Associate of Web Content Management and Database Administration. In 2012 I became a certified Project Manager with a concentration in Information Systems. I am currently a graduate student at Northwestern University graduating in June 2015 with a Masters in Science in Information Systems Management. I currently work for SWC Technology Partners, a mid-market software solutions firm as a Business Analyst with a passion for quality assurance analysis. Deanne began her career with Aon Hewitt in 1994 in its Benefits Outsourcing business, where she held a number of technical, operational, and process management leadership roles over her 20 years in Benefits Administration. Deanne spent the first thirteen years in various technology leadership roles supporting the Benefits Administration business. Deanne led and managed large scale implementations and drove the technology strategy across the Midwest clients. Deanne also provided support in identifying and executing operational improvements across large client teams. Deanne organized and led teams to identify opportunities to achieve operational stability. Additionally, Deanne’s responsibilities included leading Global Sourcing initiatives across Midwest clients to transition configuration and operational work activities to India operations. In 2007, Deanne led process management leadership across the benefits segment to drive efforts on standardizing operations across benefits clients. In late 2008, Deanne utilized her past experience to lead operations and delivery for a large Health and Welfare client. Most recently Deanne has moved to support Aon’s Health Exchange business. Deanne helped in determining Aon Hewitt’s strategy and solution to support states in complying with the requirements of the Affordable Care Act. Deanne has supported both Aon’s Retiree and Active Health Exchange business. Deanne currently leads Operations for the Aon Active Health Exchange. Deanne earned a Bachelors Degree in Operations Management and Information Systems from Northern Illinois University. Arti has extensive experience in Product management and Governance. She has successfully managed development and deployment of several large scale programs ranging from setting up data centers to launching global applications. In her current role, she is managing the launch of a unified Intranet across all geographies at Aon. Pick your own journey, carve your own path and always look forward to new adventures. On your way, find good mentors and don’t forget to pass on your learnings to others. Cynthia is the Chief Information Officer for Mesirow Financial Advanced Strategies. She has worked in the financial services industry throughout her career to develop technology strategy that includes the integration of vended applications and proprietary development to deliver holistic solutions to the business. A graduate of the university of Illinois college of engineering, she spent the early part of her career developing real time arbitrage systems and risk systems for O'Connor and Associates and subsequently helped tailor and scale these applications globally. Cynthia served as Chief Information Officer at UBS Asset Management during the global integration of SBC and UBS, then at the Northern Trust as Director of Investment Systems. Cynthia lives in the Chicago area with her husband and 2 boys. 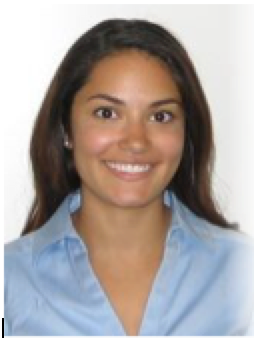 Marisa Cabrera is an IT Rotational Associate at CNA Financial. Through her rotations, she has worked as a business analyst supporting HR in both large and small projects. Currently, she works as a project manager supporting large finance projects. Prior to joining CNA, Marisa has held internships in project management, finance, accounting and reporting, and retail operations for companies such as Blue Cross Blue Shield, Northern Trust, and Target. She holds a bachelor’s degree in Accountancy from the University of Illinois and received her MBA from Purdue University this past May. As part of her MBA program, Marisa was a graduate assistant for the Executive Forum, a course in which corporate executives from all industries give undergraduate students a look into their career paths. She was also the VP of Events for the MBA Wine Club. I have made many mistakes and had challenges throughout my short career, but I believe those experiences have given me opportunities for the future. They often times have helped me realize what I do and do not want for myself. Jeff Hughes leads CNA’s Systems Development and Vendor Management organizations. In these roles, Jeff has accountability for successful delivery of CNA’s IT-enabled business programs and ownership of CNA’s delivery methodology. He directly manages CNA’s relationships with managed services partners within application development. As part of the Vendor Management Office, he oversees the contracting and performance management of all of CNA’s third party spending in technology. Prior to joining CNA, Jeff a partner with McKinsey and Company, where he was a leader in the Insurance practice and the Business Technology Office; and a partner with Diamond Management and Technology Consultants (now PWC Advisory Services). Across both organizations, he served 6 of the top 10 US life insurance carriers and 7 of the top 10 property and casualty carriers. His engagements included development of business enabled technology strategies, IT architecture, oversight of large program deployments, support for outsourcing efforts, and development of operating and organization models for IT organizations. He began his career with the US Naval Reactors Program, designing nuclear power plans for the US Navy’s submarine and aircraft carrier fleets.